Apigee Developer Services portal (or simply, the portal) acts as a client of Apigee Edge. That means the portal does not function as a stand-alone system. Instead, much of the information used by the portal is actually stored on Edge. When necessary, the portal makes a request to retrieve information from Edge or to send information to Edge. Install the portal and ensure that your installation is working properly. See Installing the Edge for Private Cloud portal. 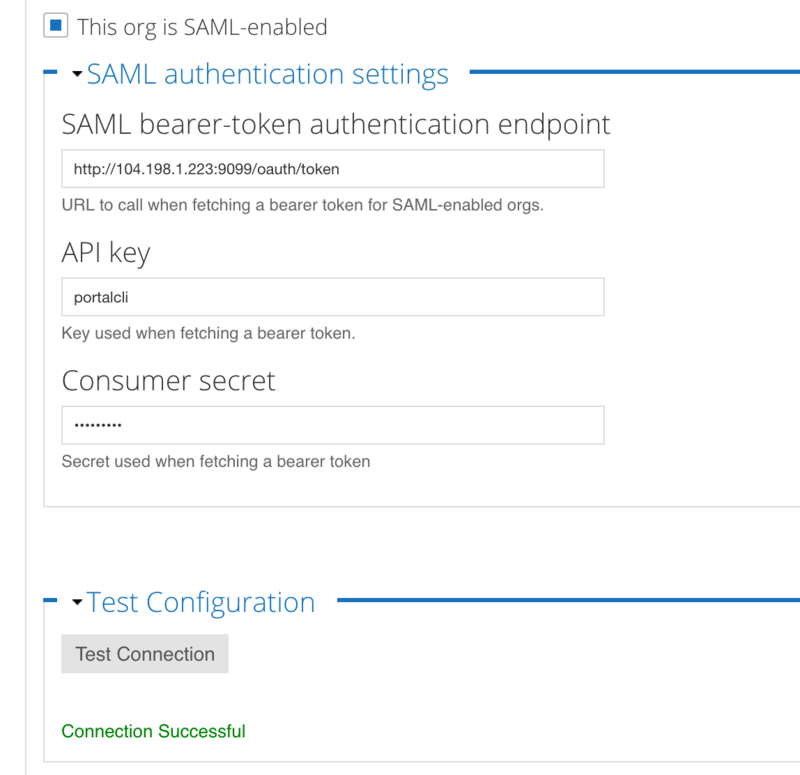 It is possible to also configure the portal to use SAML to authenticate developers. For an example on enableng SAML using third-party Drupal modules, see SSO Integration via SAML with Developer Portal. You can press the Test Connection button to retest the connection at any time.